How to Remove Write Protection from Pen drive/Memory Card: In our daily life, we migrate GB’s of data from one memory storage to another. Everyone uses pen drive (USB) and memory card to transfer data from one computer to another. From the last decade, the use of pen drives (USB) has increased on a large scale. Since it is easy to carry and quite affordable, therefore, people prefer to use them. But many a times, people complain about Write Protection error in their USB or memory card. 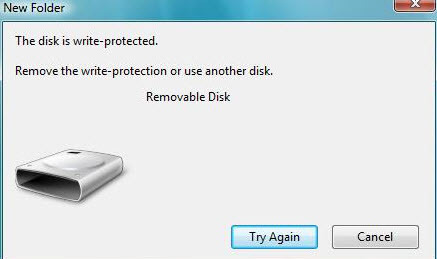 Whenever they try to copy something in their Pen drive, a pop up error called “The disk is write-protected” appears on your screen as shown in the below image. If you are getting the same error on your USB pen drive or memory card, then do not need to worry. I’m gonna share some tricks to fix this Write Protection error. But at first, let us go to the core and try to understand the base of the error. Usually, manufacturers protect the USB from being edited. So, it gets limited to read only purposes. Many a times, PC users enable write protection in their pen drive in order to prevent malware and virus attack. Memory cards have a small button in it which allows it for the read only purpose. Thus, always make sure to check the button before using it. The default formatting method cannot solve this issue. You need to perform low-level formatting for it. 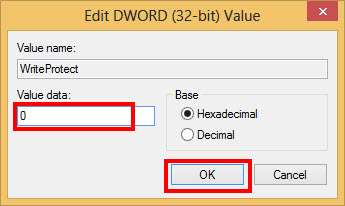 To do it, Download a tool called low level formatting tool from the below link. Download Low Level Formatting Tool. Now, Perform the formatting procedure in your pen drive or memory card via this tool. Then, open RUN dialog box by pressing Windows+R keys and type diskmgmt.msc in the box. A disk management window will appear on your screen. You could see your memory card or pen drive along with your partitions in the window. Allocate the space to the drive. Your pen drive/Memory card is free from Write Protection error. You can now use it with no limitations. If the above method does not work in your case then try this process. 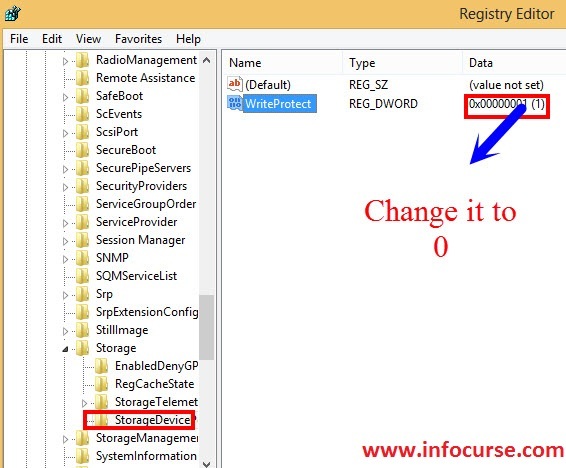 But before editing registry make sure to backup all registry settings as it may lead to system crash. 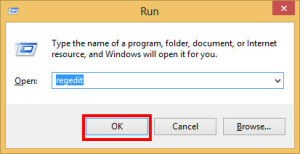 At first, open RUN dialogue box by pressing Windows+R keys and type regedit in the box. Go to Write Protect key in your right hand side as shown in the below image and change the value from 1 to 0. The setting ‘1’ means ON while ‘0’ means OFF. If the following key does not exist in your system then simply download the below batch file and run it. It will add the required keys in your system. Close the regedit Window when the editing is finished. Restart your PC. You are done. You might see your pen drive or memory card is free from Write Protection error now. III Process – For Transcend Memory card and pen drive only. This solution only works for Transcend memory card and pen drive only. A tool called Online Recovery Tool helps you to remove Write protection error from Transcend memory card or Pen drive. 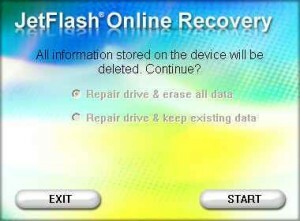 At first, download Online Recovery Tool from the below link and run Jetflash Online Recovery Tool in your PC. Now, plugin your write protected Transcend memory card/pen drive in your PC. Choose any one of the the following options :- “Repair and erase data” or “Repair and keep existing data”. Wait till the process is completed. A confirmation message ‘Format Complete’ will appear on your screen. Disconnect your memory card/pen drive and replug it. That’s it. You are done now. Your Transcend memory card/ pen drive is free from write protected error. Previous articleChange Facebook theme using Google Chrome extensions.